Have you ever heard of colostrum? Colostrum is the first and most nutrient dense food consumed by every mammal. Although colostrum is classified as a supplement in the US, it’s the only 100% complete whole food of every mammal species. In fact, if you were breast fed as a baby, you’ve already benefited from colostrum and that’s the only time in your entire life where you consumed a true whole food- that’s why as a baby, when you were nursing, your Mother didn’t need to feed you additional fruits, veggies and protein. Bovine or cow colostrum is up to 1000x more nutrient dense than human colostrum and, it’s the only colostrum that is 100% bio-available to every other mammal on the planet. For more information, click here. Colostrum supports your body’s ability to stimulate your metabolism. This is why some clients report they are feeling tons more energy, losing fat, toning and/or gaining muscle, naturally. 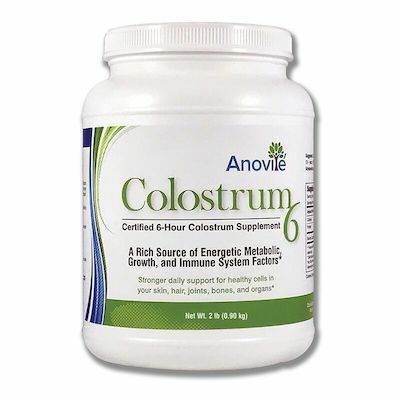 Colostrum supports your body’s ability to stimulate and/or regulate your immune system. This is why some clients with health challenges are reporting that their bodies are responding. Colostrum supports your body’s ability to stimulate and produce more Human growth hormone. Hgh in your body is responsible for organ, tissue and cell repair, renewal and replacement. This is why some clients are reporting that they’re noticing anti-aging benefits like younger looking skin, better endurance, improved breathing and more. I have experienced tremendous results myself: in the first 3 weeks of taking it, my sleep was better, I took off 12-15 pounds spontaneously, I lost inflammation I didn’t know I had, and some muscular issues I had been working on for awhile completely resolved. Then I began working out and taking Flex 6 before and after: and – not just me, but the person working with me (who teaches exercise and fitness), was blown away by how fast I gained strength and flexibility. Then I began to see big results in a lot of my clients. One took 50 points off their blood sugar levels in 2 weeks, for example! This is the perfect food. It has health benefits on every level! 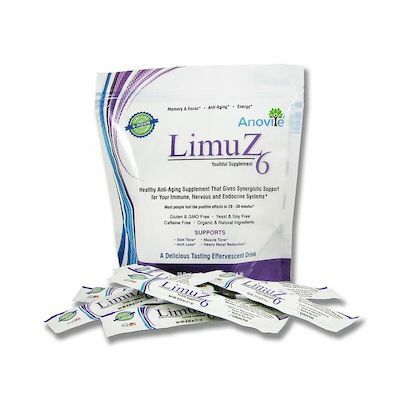 This product works especially on the immune, endocrine and nervous systems. I noticed an immediate difference in boosting my metabolism. The first time I took it, I was on a trip, and I slept better and longer than I have in years. 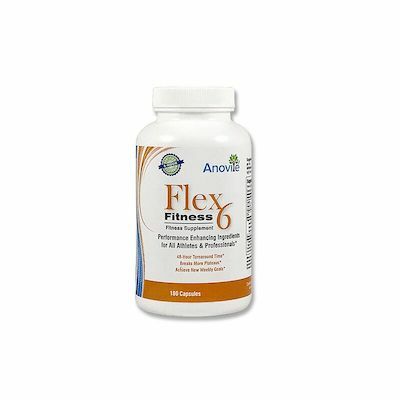 This product has helped me build muscle and flexibility quickly and easily. Bonus: when I take it before and after a workout, I have no pain – even when adding new exercises or doing an especially big workout. I am no athlete, but for those of you that are, athletes are experiencing amazing results! If you have questions, please contact me. I have articles on all kinds of health issues and how Anovite Colostrum has helped. Dr. Anthony Kleinsmith, the founder of Anovite, has been doing research for 20+ years on how Colostrum helps with specific conditions, and I may have information for you. This is the water I talk about and bring to all my local classes. It’s actually a medical device in Japan, and doctors and chiropractors everywhere prescribe it for people who are struggling with chronic or severe physical issues. What does it do? It restructures the water molecules, ionizes and also alkalinizes your drinking water – there are 3 different drinking pH’s to choose from. Some of the machines also make other types of water, including water that can be used in the place of detergent (thus saving huge amounts of money, not to mention chemical additives in the water; and for those with skin issues, this can be a huge benefit). There are a whole host of other applications as well. Why do I recommend? I have tried a lot of different filters and waters over the years, and I have seen a huge difference since changing from other filters. My body gets all the minerals it needs (unlike reverse osmosis, which filters out all the minerals), it helps me maintain higher alkalinity in my body, which translates to less inflammation, and my body feels better hydrated with it. Then I really looked into it, and I love it: it’s really good, Belgian chocolate, but cold-pressed so it doesn’t lose any of its antioxidant or flavonoid properties (even 80% dark chocolate has lost most of its antioxidant properties due to the heating process used to make it). In addition, they add blueberry and acai powders to it, which actually boosts its anti-oxidant and flavonoid properties! Three eaten over the course of a day provide all the antioxidants and flavonoids one needs, without affecting one’s sugar levels. And…an independent company measures how many antioxidants and flavonoids it has, so you know you’re getting excellent benefits. Essential oils have been part of my own healing repertoire for many years. I occasionally use them in my practice as well, and highly recommend them for ongoing health and wellbeing. I am a distributor with two different companies, and prefer each of them for specific oils. For single oils, I highly recommend DoTerra. They are an offshoot of the next company, and have done an amazing job with their single oils! [could the link be on DoTerra?] And they have touch sticks, which are easy to take with you when you’re on the go. There is one exception to their blends: TerraShield is excellent for use outdoors when you want to avoid mosquitoes, etc. For the best trauma solutions I have ever used, get ETS +. There are separate solutions for humans, animals, plants and soil. I also take Essence of Perelandra (EOP) regularly. If you use flower essences, Perelandra’s are excellent. They have rose and vegetable and flower essences, as well as essences to help with viruses, bacteria and fungi. And there is a group of essences that work at the personal and spiritual levels as well. Why do I recommend Perelandra? I have found these essences and trauma solutions to be really helpful in keeping me healthy. When I am sick, I go to these before medications, because, together with essential oils, they often move me through any issues quickly. These are highly effective, and have been created in co-creation with nature (for more information about that, read about it on the website). Please note: I do not receive any financial benefit from this recommendation. It’s simply a great company!